We are sad to announce that our friend Chuck Marsh passed away August 27, 2017, shortly after being diagnosed with pancreatic cancer. He was buried near his home at Earthaven Ecovillage in a green funeral, his body covered with an abundance of flowers as he was lowered into the earth. He will be sorely missed by his family, friends, and his numerous fans in Western North Carolina (WNC) and beyond—even across the globe. Check out Chuck’s last Harvest Conference presentation (special thanks to Living Web Farms for recording this session). 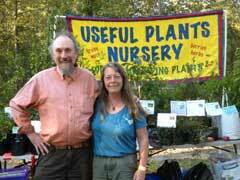 was one of the first permaculture design graduates in the U.S. taught by Australian Bill Mollison (co-originator of permaculture). ­Despite the fact that this list of accomplishments is incomplete, it is quite a testimony of his devotion to sustainable agriculture, permaculture, food justice, and humanity. 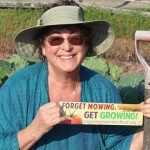 Debbie Lienhart—Chuck’s friend, Useful Plants Nursery business partner, and former OGS Board member—will continue to operate Useful Plants Nursery and carry on their aspiration of making well-adapted, useful, and edible plants available for transforming landscapes. Personally, every year at the OGS Conferences, I delighted in the opportunity to visit with Chuck and scanned the OGS Conference schedules for Chuck’s name first to arrange my other classes around his class. Every class that I took with Chuck proved to be inspirational, but it wasn’t just the intellectual concepts. It was the way he conveyed those concepts. He was able to bring his permaculture knowledge and environmental activism to us with such open-heartedness and inclusiveness. I will miss his bright smile and warm personality as a constant at the OGS Conferences and in the larger community. He has mentored so many of us in a variety of ways. 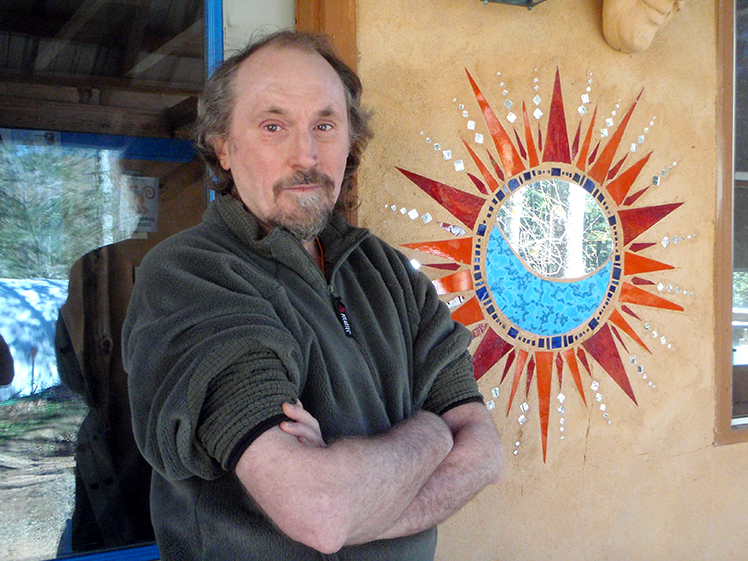 It leaves me asking myself how I can integrate some of Chuck’s endearing qualities into my own life and how we can entice our communities toward regenerative living with the same open-heartedness and inclusiveness as Chuck. With this pillar of support missing from our community, I hope lots of us will challenge ourselves to step up to the plate and carry on Chuck’s legacy with the same infectious spirit he brought into our lives. In Andrew’s words: “Fair winds, my friend!” from all of your friends and fans in the OGS community and the community at large! With special thanks to Lee Barnes of Waynesville, Tony Kleese of Chapel Hill, Jeffrey Goldwasser of Waynesville, and Arjuna da Silva of Black Mountain for some of the information contained here. Special thanks to Bobby Sullivan, Chuck Hegberg, and others for photos from Chuck’s Facebook Page. 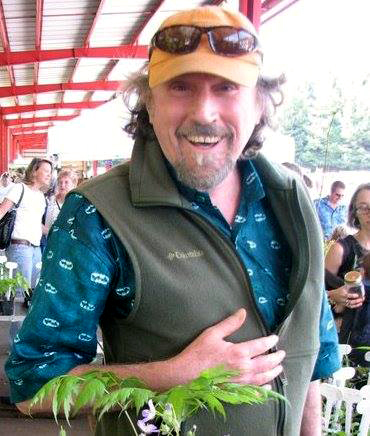 Organic Growers School plans to recognize Chuck Marsh formally at the OGS 25th Annual Spring Conference to be held on March 9-11, 2018. I, too, would look first for Chuck’s workshops on any OGS conference schedule, and after every time hearing him present, I ran right out to the Useful Plants Nursery booth and bought more plants for my yard – I have his professed favorite apple, Goldrush, growing here, pawpaws after he praised them (I hadn’t even yet tasted one! ), and planted a permaculture mini-forest at his recommendation… my little orchard is gratefully full of Chuck! After his 2015 Harvest Conference presentation on the Polk County Groundswell International project, “Grow Food Where People Live,” I was moved to support it. His words were not only educational and instructional, but infectious with invitation and inspiration. 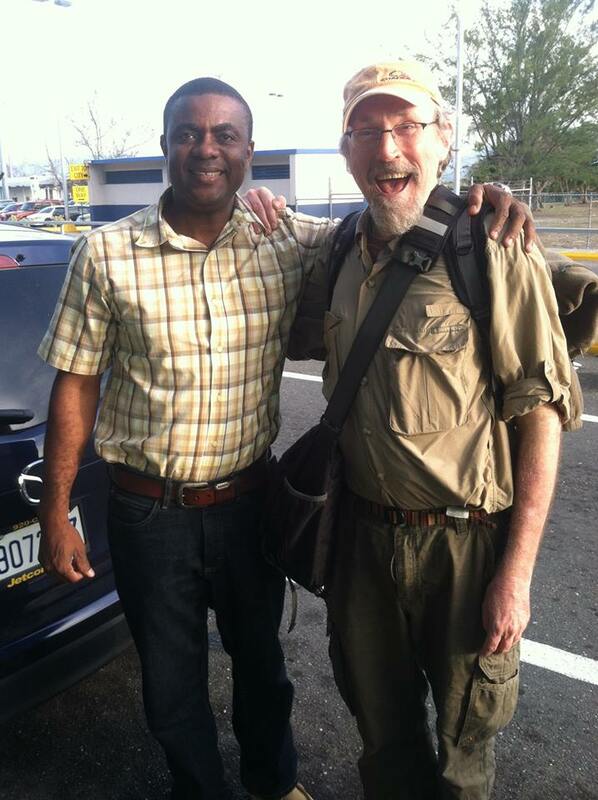 Chuck was a delight to hear and be around, a consistently cheerful countenance, a fact that all the contributors above confirmed, and yours, Ruth, is a fine tribute to a stellar fellow to whom OGS, and all of us who knew him, owe a hearty thanks. Beautiful, and so well done, Ruth! A fitting tribute and send-off to our Beloved rascal, The Chuckster! I did not know Chuck Marsh well, however, I can attest to his infectious spirit and broad reach having attended many of his sessions at OGS. I came away from those with bits of direction and positivity that immediately influenced how I approached my own little bit of land. He especially made me realize the principals applied to all of earth, all that we walk on. I feel sure he did indeed affect thousands of people with his passion and knowledge. You could not help but make better choices just being around him for an hour or so. What a life. I am so glad to have taken those classes.